Tax return filing deadline is fast approaching and unless you want to get audited by the IRS you should be very careful when you fill in your information. It may be true that in the last year only 1% of the taxpayers that filed their returns were audited (announced in an article by the New York Post), but certain red flags on your account may get you in that group of people. Sometimes the IRS officers choose to audit taxpayers who have family links to others being audited or because they found some errors on the tax return. It is certainly a situation you don’t want to fall into because any inaccuracies can lead to a penalty charge of 20% of the disallowed amount for filing a refund claim with errors. In other cases, if the tax return is classified as ‘frivolous’ you may have to pay a penalty of $5,000. These are yet, the least of the problems an IRS audit can bring to you. More serious development of the situation can lead to criminal charges for tax evasion or fraud. So to make sure you won’t go through this stressful experience, avoid these red flags any IRS officer would pick up. 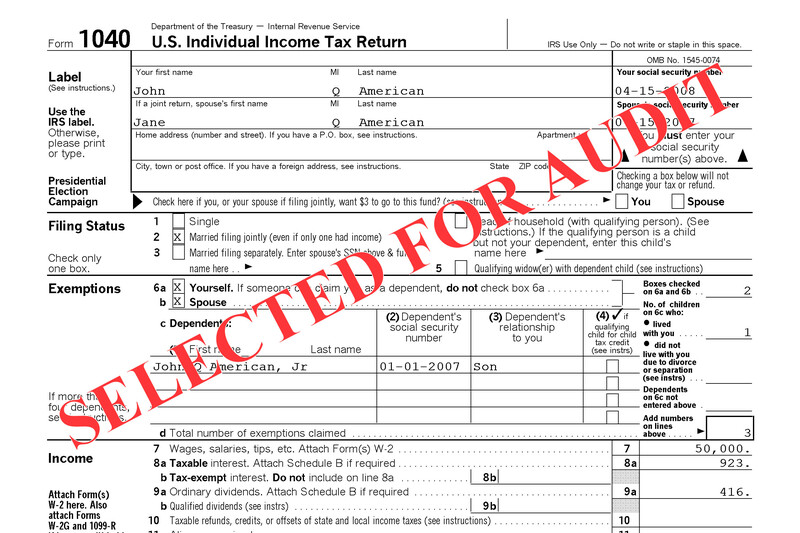 One of the most common reasons for and IRS audit is too many deductions on the taxpayer’s return. Too many means “higher than average” in relation to the person’s income. These deductions can come from real estate interests, contributions to charities and charitable trusts, and student loan interests. For example, if a taxpayer earns $100,000 a year and they claim a deduction of $35,000 for charity, then the likely outcome of this is an audit. There’s a difference between having a business as your main or substantial source of income and having a hobby from which you make some extra money on the side. For example, if you make some small gifts in your free time and then sell them on an online platform or to your neighbors, that’s not a business. Modern slang classifies it as a ‘side hustle’. In this type of scenario you can only claim expenses up to the amount you earn from the activity. If you claim more, that automatically becomes a red flag and can get you an IRS audit. In any other instance, you will be penalized with a 10% charge on top of the withdrawal fee. Because of that, many taxpayers decide to not report taking money out of their retirement account. This is a big mistake. The likelihood that the IRS will find out that you made a withdrawal is very high and you encounter a double trouble – pay your penalty, plus get audited for filing an incomplete tax return. Business owners who claim too many unreimbursed employee expenses are also waving a red flag to the IRS. Until last year, the law allowed up to 2% for such expenses to be deducted from the adjusted gross income. With the new tax plan, that deduction is eliminated but the changes will apply for your tax return due April 2019. It will be unwise to try and squeeze in as many employee expenses as possible in this year’s tax return just because you won’t be able to take advantage from the deduction afterwards. The officers will notice the surge in expenses claim on the return and this could be a cause for an IRS audit. Do you need help with filing your tax return this year? You have just a little over a month until the deadline, so contact us today on support@fascpaconsultants.com.